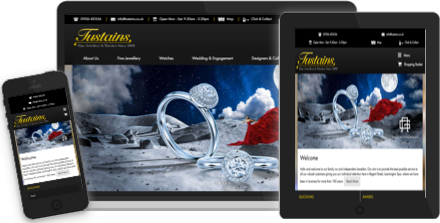 Create your SEO and mobile-friendly business website with our fully featured, content management system. Build pages with your messages and content, add forms and processes, send email campaigns, add blog posts and post to social media. Fully hosted on our dedicated infrastructure and continuously updated with software patches, security updates and enhancements. Sell your products online, run promotions, offer gift vouchers, set different price lists and quantity break discounts, take payments securely and manage your orders. Improve searchability using definable product filters, categorisation, product options and attributes. Send and track email campaigns. Fully hosted and supported by our dedicated helpdesk and technical teams. Manage your prospects in our simple-to-use system with fully definable sales funnel process, performance dashboards, sales analysis and revenue forecasting. Send bulk email campaigns and track engagement. Ideal for telesales teams and sales professionals alike, essential for sales managers and directors to take control and transform your sales streams. Fully hosted and supported, can be used with other REC+ apps or standalone. Check your website for common HTTPS migration issues. Find insecure HTTP content loaded over HTTPS, to keep data private, unmodified and trusted by visitors. Used by thousands of companies worldwide to assist with their HTTPS migrations, on millions of web pages. HTTPS Checker proactively scans your site ahead pre-migration to find what needs changing. HTTPS Reporter reports issues in real-time that occur post-migration to protect your HTTPS cover. Monitor and compare prices on your website against your competitors to see if you are over-priced or under-priced, so you can uplift your prices and make more margin. 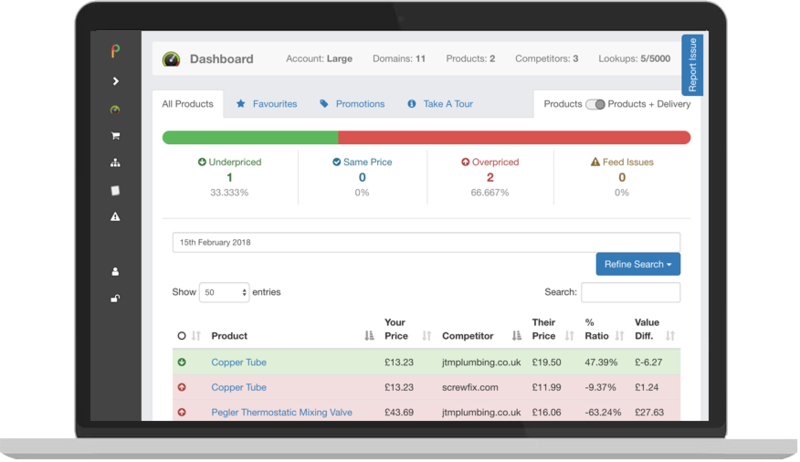 Price comparison is an essential part of the marketing toolkit for online retailers helping drive revenues and increase margins, see who's spying on your prices and provide pricing intelligence for planning when to run your own promotions and which products to include. We've written some helpful apps for digital marketers and sales people to use in their pitches. Simple SEO Report: Check your pages against competitors. Keyword Difficulty Tool Chrome extension: Work out a percentage difficulty to rank your keywords. 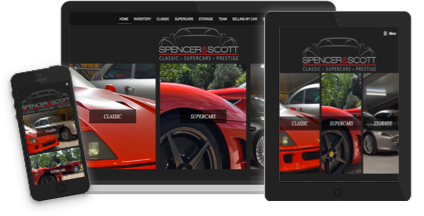 Website Showroom: Just for fun, If your car was a website, what would you be driving?